If you haven't tried making homemade pudding before, drop whatever you're doing and run to the kitchen and make some right now! 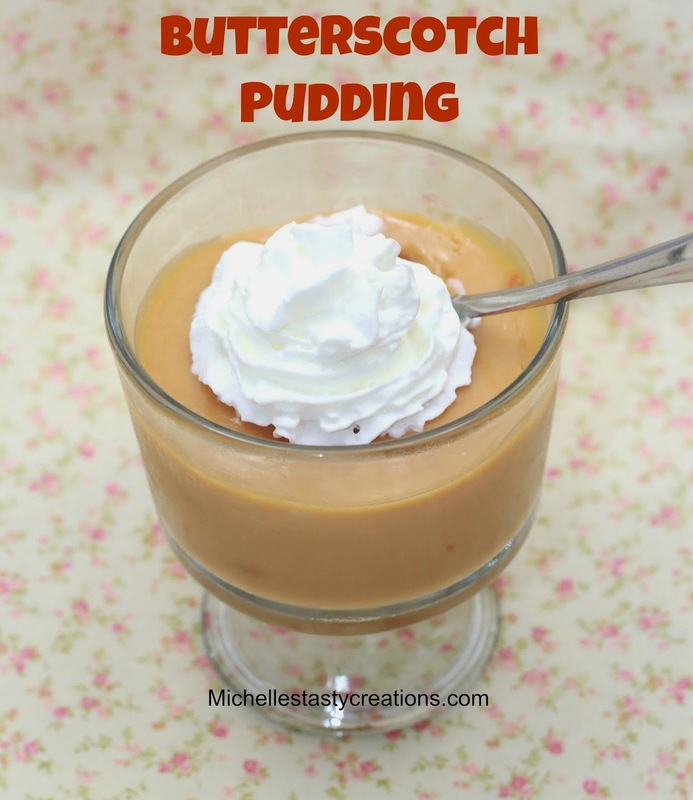 Homemade pudding is super simple to make and has the most luxurious texture and amazing flavor you'll ever taste. I have made lemon, coconut, chocolate, and now butterscotch pudding in the last few weeks and I'll never go bake to the boxed kind again. It is perfect for pies, trifles, poke cakes, or just in a bowl. I challenge you to make a batch and tell me it isn't better than what you get in the store. In a large measuring cup beat the milk and vanilla until well mixed. Set aside. In a medium saucepan mix the sugar, salt, and cornstarch and add the milk mixture, whisking until the sugar is melted into it and dissolved. Add the eggs and whisk until completely incorporated. Heat over medium heat until it comes to a boil, stirring constantly with a whisk. Boil for 1 minute until thickened. Remove from heat and add the butterscotch chips and butter, whisking until completely combined and smooth. Pour into pudding cups, glasses, or small bowls. Place a piece of plastic wrap directly on the pudding to keep a skin from forming. Set at room temperature for 30 minutes then place in fridge to chill. Chill in fridge for 3 hours before serving.